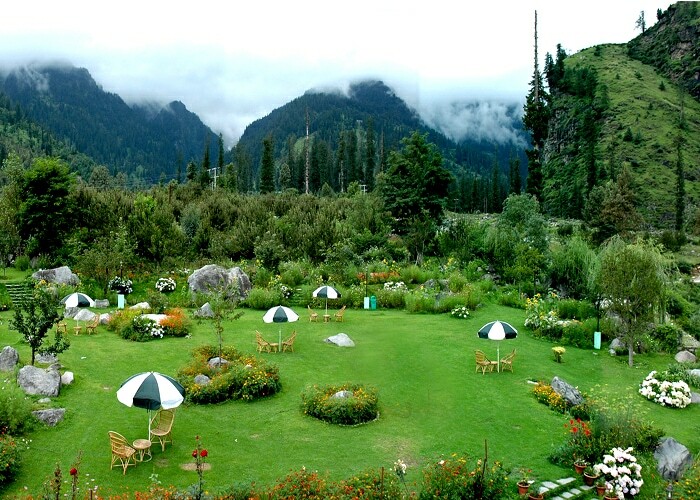 Located 14km from Manali in Himachal Pradesh, Solang Valley (8500ft) lies on the western bank of the River Beas. It has a number of hotels and other accommodation options available nearby – and also the choice to pitch your own tent! The start of international skiing competitions like the Alpine Premier League has made the valley very popular among foreign tourists. Solang Valley, locally known as Solang Nullah, derives its name from a combination of the words Solang (nearby village) and Nullah (water stream). It offers great views of the surrounding glaciers as well as of the splendid valley lying between Solang and Beas Kund. The valley is also home to a shrine dedicated to Lord Shiva, located on top of a hill. Hidimba Temple and Raha Waterfalls are other attractions nearby that one can visit. Solang boasts of a state-of-the-art ropeway that is a favourite with the tourists, and an exciting and convenient way to view the valley. It is popular worldwide for its lush greenery, apple orchards, snow-capped peaks, lakes, and, most importantly, the adventure activities it offers. 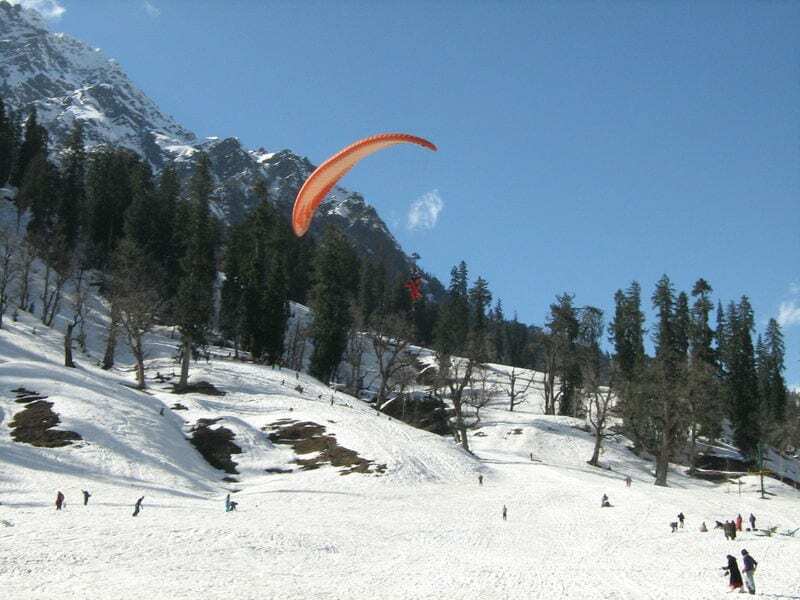 Solang has some great slopes of green and is accessible throughout the year, thus making it possible to take part in a variety of activities like skiing, paragliding, parachuting, trekking and camping. Temperatures in winters range from 5C to 12C, and in summers from 13C to 23C. By Air: The nearest airport is in Bhuntar town, 63km from Solang Valley. Pre-paid taxis are available from the airport to the valley. By Road: Solang Valley can be reached by taking a bus from Delhi and Chandigarh. Himachal State Road Transport Corporation operates a regular service from Delhi, Lucknow and Chandigarh. Taxis can be hired from Manali to cover the 14km to Solang. By Rail: Joginder Nagar (narrow gauge) is the nearest railhead (50km); other railheads close by are at Chandigarh (310km) and Ambala (300km).